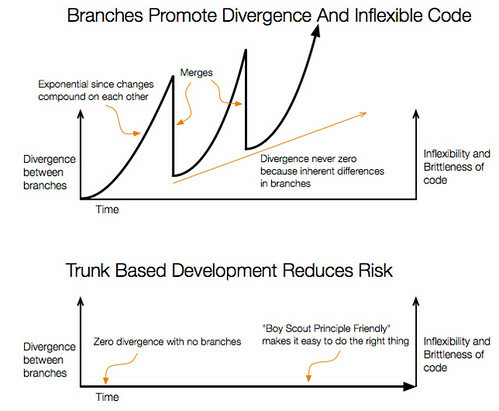 As discussed in my previous post, I dislike merging-based-development, preferring Trunk Based Development instead. 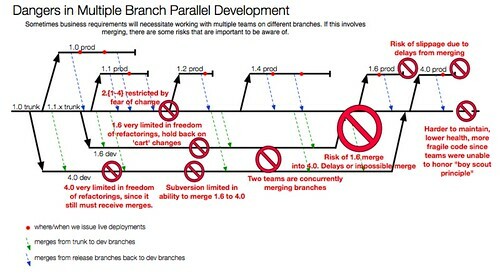 But, sometimes you’re stuck with a long-lived development branch, and you need to merge changes (subversion tree-conflicts and all). At the end of the post, I have several scripts I used to make this easier. Not the prettiest, but saved a lot of pain when we had major refactorings in trunk, and needed to locate and merge the changes to those files in a long lived (read: horrible) dev branch. 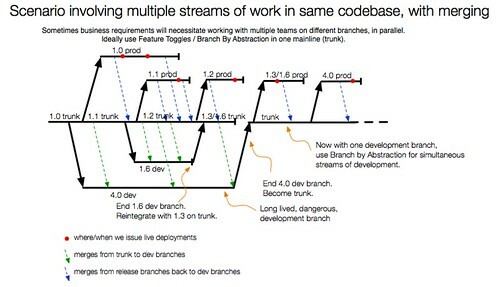 Imagine this scenario: Multiple streams of development, with a long-lived “3.0 dev” branch that has never reintegrated with the trunk. (Because 3.0 has new features that won’t go into production for many months). There are substantial dangers in this approach. 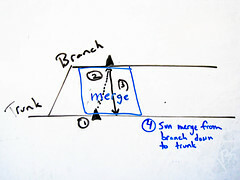 This diagram only touches on the surface of the areas of risk in which a merge could fail. Solution? 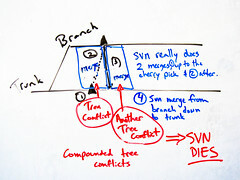 Trunk based development / branch by abstraction. 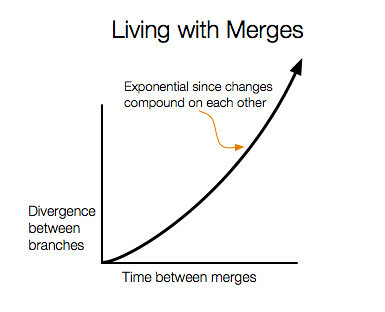 Given this required scenario, I developed a few best practices and scripts for merging. 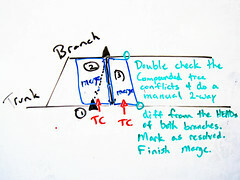 The best practices involved having multiple branches checked out into different directories. 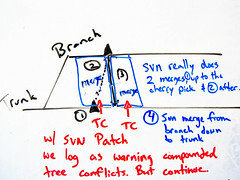 And then we would find equivalent files that have moved and merge the tree-conflicts. Scripts to assist in Subversion 3 way merging. Web apps have numerous choices for storing stateful data in between requests. For example, when a user goes through a multi-step wizard, he or she might make choices on page one that need to be propagated to page three. That data could be stored in http session. 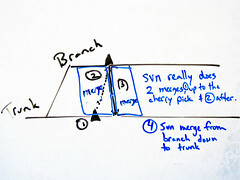 (It also could get stored into some backend persistence and skip session altogether). So where does session get stored? There are basically four choices here. Store state on one app server, i.e. for java in HttpSession. Subsequent requests need to be pinned to that particular app server via your load balancer. 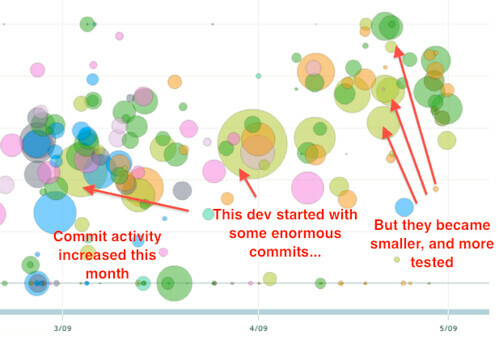 If you hit another app server, you will not have that data in session. Store state in session, and then replicate that session to all or many other app servers. This means you don’t need a load balancer to anchor a user to one app server; multiple requests can either hit any app server (full replication). 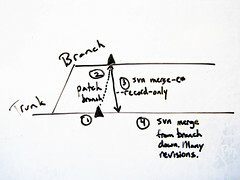 Or use the load balancer to pin to particular cluster (themselves replicating sessions, and giving higher availability). Replication can be smart so only the deltas of binary data are multicast to the other servers. Store the state on the client side, via cookies, hidden form fields, query strings, or client side storage in flash or html 5. Rails has an option to store it in cookies automatically. Consider encrypting the session data. However, some of these options can involve a lot of data going back and forth on every request, especially if it’s in a cookie and images/scripts are served from the same domain. Store no state on app servers, instead write everything in between requests down to backend persistence. Do not necessarily use the concept of http session. Use id’s to look up those entities. 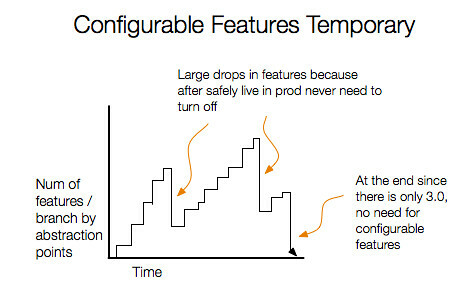 Persistence could be a relational database, distributed/replicated key/value storage, etc. 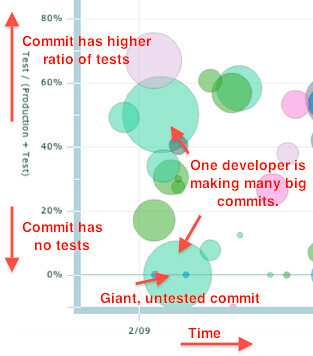 Your session data is serialized in one big object graph, or as multiple specific entries. Try to keep what is in session small. If possible, keep session state on the client side. Prefer key/value storage replicated among a small cluster over replicating all session state among all app servers. Genuinely consider sticky sessions, which home users to a particular app server. Many benefits abound, including what Paul Hammant talks about w.r.t Servlet spec 7.7.2 Appengine’s Blind Spot. If you serialize an object graph, recognize that when you do a deployment it will probably mean existing sessions are now unable to be deserialized by the newly deployed app. 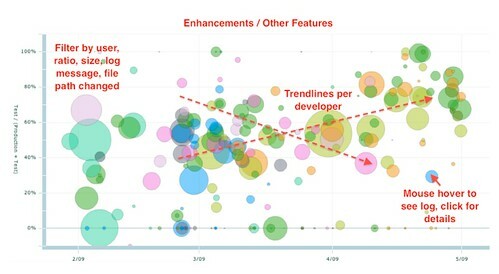 Avoid this by using your load balancer to swing new traffic into the new deployments, monitor errors, and then let the old sessions expire before switching all users over to the new deployment. Bleed them over. Session is not for caching. It may be tempting to store data in session for caching purposes, but soon you will need a cache. Store in session what is absolutely necessary for that user, but not more. See caches, above. // Sometimes this is going to return null, other times an instance. // javadoc says). Use the Null Object pattern. // could be problematic if it was a slow operation. We are using autowiring by type, but we encountered a problem when the result of a factory bean’s getObject() is sometimes null. If the first call to that request scoped factory bean returned null, it would never call getObject() again in future requests. 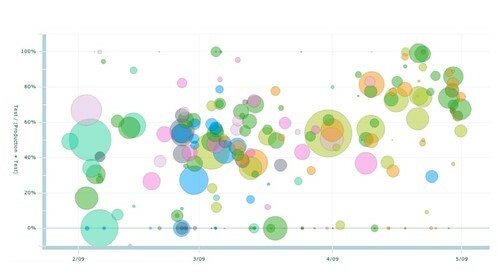 Upon investigation, you can see there is a subtle caching of null return values from factory beans. (Even if they are request scoped.) Might be a bug, I don’t know. But the work around is probably a good idea to implement anyways: use Null Objects instead of passing around null. Here is the problematic code from Spring that caches the null return value: AutowiredAnnotationBeanPostProcessor$AutowiredFieldElement. There is a field cached and cachedFieldValue. These are set if the value is null, and then on subsequent calls they will return the null value without calling getObject on the factory bean. I recommend not returning null in factory beans, or else it might be cached by Spring and your factory bean will not be called again when that object is needed. I previously wrote about useful debugging techniques with maven. Our maven builds have become complex, with Branch By Abstraction, and about 40 devs working simultaneously on the codebase in 2 continents. We have at least 3 profiles for each of the branch abstractions that are currently running in the codebase. I’m one of the tech leads, and in order to keep the team’s build consistent and easy to remember, we have a wrapper script (thanks to Cosmin).